Everyone is busy, but not everyone is applying effective time management tips. If they did, they’d still be busy, of course, but they’d also be more productive. Wouldn’t you like to learn some time management strategies you could use to better handle your workload? The following are five time management techniques that will get your head above water and give you a glimpse at the shoreline of project success. That’s right, another list. One more thing to do. Because part of having effective time management is doing the due diligence. That means managing your own tasks as well as your team’s. So, first thing in the morning you should make a list, whether on paper or with your task management tool, and collect all the tasks that you want to accomplish that day. It sounds overly simplistic, but you have to start somewhere. So, first thing is the morning you should make a list, whether on paper or with your online project management tool, and collect all the tasks that you want to accomplish that day. Now, look over those tasks and begin to separate them by priority. Are there some that are urgent and have to be completed by day’s end? Are there others that could wait until the end of the week to get done? Make those determinations and then list the tasks accordingly. What you have is an agenda for the day, a framework to give you an idea of what must be finished before you can hit the showers and sleep a few hours. Sometimes you may be surprised at how accomplishable these tasks are. Other days, well, there’ll still be a ton of work to do. Either way, you have a realistic picture of what is crucial and what can wait that day, which means that you can be place your resources where they’ll be most useful. Nobody likes a micromanager, someone who is constantly on your back telling what to do every step of the way to the point that you have no time to do anything. But that’s not what delegating is. The flipside of delegating is taking everything on your shoulders. Whatever the reason for you choosing to do all the tasks yourselfs, whether it’s not trusting your team to do the work right or needing to control every aspect of the job, it both’s detrimental to the work and not even feasible. If you don’t delegate you’re sending a strong signal to your workforce that you don’t believe they have the skills and experience to do the job you hired them for. That’s a surefire way to erode loyalty and lose talent. And you’re still going to be overwhelmed with work. Your team has been assembled to take care of certain tasks. While you need them to report back to you, and communicate clearly what they’re responsible for, you also have to give them autonomy. There will also be busy work that can be passed on to someone while you concentrate on the bigger picture. It’s not that you’ll be sitting there idle, just twiddling your thumbs—if only!—but now you can focus on what your job description is and be more efficient and productive at those tasks, and your employee time management will also show results. It might not be natural for you, but you’ll get more work done, and done better, and in no time you’ll be delegating like a pro. You’re a busy professional, what does communications mean to you? You’re not here to learn about employee time management. 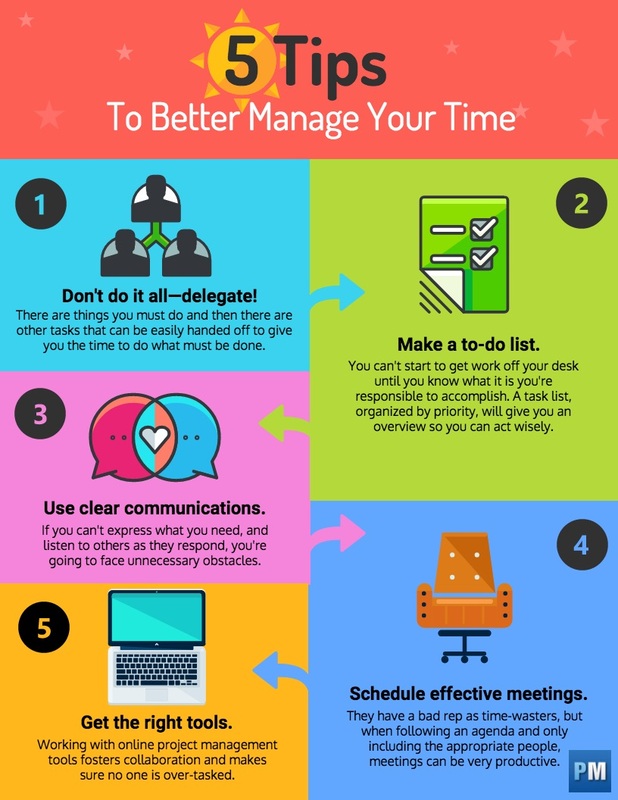 You want to become more efficient managing your time. True, but communications is how effective leaders lead. You can almost add communications to anything, from self-help to business, because it’s that fundamental. If you cannot clearly get your ideas across there are going to be problems and conflicts. Being understood is a lot more difficult than it would appear. But if you’re not, then you’re definitely going to have more work, unnecessary work. The first thing you need to do is have a system of communications in place to disseminate information and, equally important, for team members to use as a means of dialogue, chat, one-on-one talks, whatever necessary to respond, confirm and even collaborate. It’s not only the team, but also clients and stakeholders that are part of your communications loop. Not only do clear communications make for smoother running projects, but they save you time and effort, which is the whole point of these time management tips. A good online project management tool will have features that allow you to automate much of your communications, get notifications and work collaboratively on problems. For example, instead of having to seek out a team member to see if they’ve completed a task, you will get a status update indicating where they are in that process. Or if you have a file you want to share, or need to see, it’s only a click away when it’s been attached to the communications tool, especially when you can add attachments right at the task level. Meetings are the boogieman of business. Few like them, most hate them. The only ones who enjoy a meeting are those who like to talk and talk and talk. In fact, meetings have become almost a symbol for time wasting activity. It’s not as if that reputation is undeserved, but only because many people don’t know how to run a meeting. The truth is meetings matter, and they are an excellent forum for getting together, delegating responsibilities and then walking out with marching orders to keep you on track until the next meeting. The problem is running the meeting. You have to have an agenda, stay on point and make sure only those who need to be present are in attendance. Keep the meetings short and productive like that and you’ll be surprised at how they free you up to concentrate on what needs to be done. Also, there are many different types of meetings. They can range from a standup meeting with one team member in the hallway to a large presentation with all hands to outline project goals. But the reality is no professional is an island and meetings are one part of developing a time management strategy. You wouldn’t use a hammer to turn a screw, and you want the right tool that can give you the effective time management you need to get the job done within deadline. But what time management software is right for you? That’s a question only you can answer. If you only need, say, a task list to organize your to-do list and be able to check off the completed tasks along the day, there are many apps that do just that. More likely, you’re going to want something that can do that and help you coordinate with team members, clients, stakeholders, et al. If you work in an office or remotely, a cloud-based tool is ideal. It provides you with 24/7 access to your materials wherever you are. Not that you want to work around the clock, but there are times when you’re maybe commuting or having lunch when you’re suddenly reminded of a task that needs attention. Now you have the tool to get that addressed immediately. 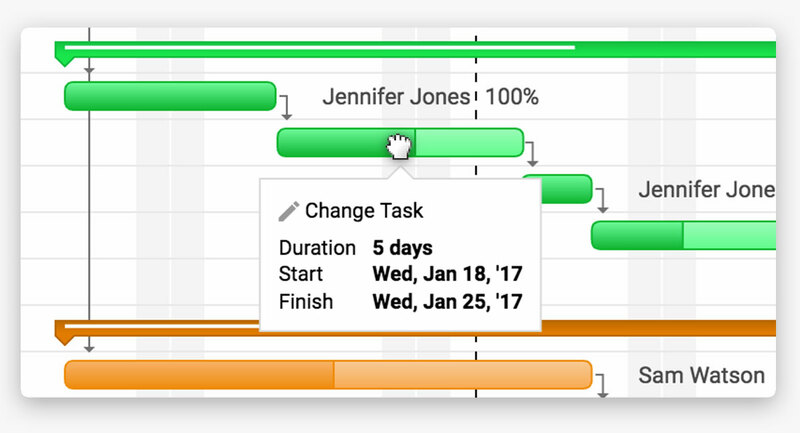 Many online project management tools have real-time data, so when a task is updated, you’re instantly notified and your spreadsheet or online Gantt chart is also updated. You can have a dashboard to get a bird’s-eye view of the project, and easily customize and share reports. There’s task management, too, of course, which offers a number of essential features to help with time management techniques. It can help you prioritize, collaborate and even estimate costs. The right tool will help you to better achieve all the tips above. It’s not like you’re reinventing the wheel or it’s rocket science or any other number of cliche you might think of. There are many tried and tested time management strategies. These are but a handful. There are many more. Find what’s a good fit for you and take control of your time. If you have the right tools, then you have a head’s up on managing your time more efficiently. ProjectManager.com is a cloud-based project management tool, which makes you even more productive. It has to-do lists that can be updated anywhere and at anytime. Being online also facilitates collaboration, which helps with delegating tasks and fostering better communications. Try it yourself by taking this free 30-day trial.